Prof. Hashimoto studied the history of science and technology both as an undergraduate and graduate student at the University of Tokyo. He received his Ph.D. from Johns Hopkins University for his research on the early history of aerodynamics and aeronautics. Since 1991, he has been a faculty member of the University of Tokyo teaching the modern history of science and technology. He has written papers and essays widely on the history of modern science and technology as well as the origin of punctuality in modern Japan and the history of standardization in technological systems. 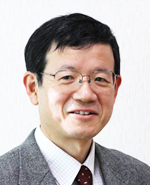 Prof. Hashimoto's research interest lies on the history of physical sciences and technology in the 20th century and the history of the establishment and evolution of safety standards.